[Telluride Blues & Brews Festival. Photo: Ultra 5280] The longest, sunniest day of the year signifies the start of another epic Colorado summer. The season runs from Thursday, June 21st to Friday, September 22nd, 2019. It seems like every week has too many festivals to choose from. If you’ve never been, be sure to check out a Colorado Renaissance Festival, which continues each weekend through August 7th. NedFest is an easy escape from Denver and features concerts and microbrews. About: 14th annual electronic music festival held during the summer solstice. The festival grounds are located by Rye in Spanish Peaks Country at Hummingbird Park. 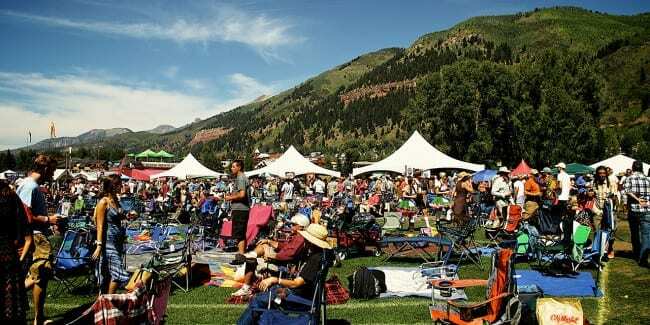 About: 46th annual bluegrass music festival in downtown Telluride. About: 122nd annual festival held the third weekend in June every year. It features live music, stage entertainment, FamilyFest for kids, arts & crafts, food court, carnival and a parade down Grand Avenue, with free strawberries and ice cream after parade. About: 27th straight year, come celebrate the longest day of summer, the summer Solstice, with Scandinavian song, dance, and music. There’ll be local food and crafts, a viking encampment, a silent auction and a raffle for a trip to Scandinavia. About: 30th annual brew fest celebrating Colorado craft beer and live music. About: Every summer on Friday and Saturday evenings, PBR rodeo cowboys compete in the Yampa Valley. About: Premier fine wine and craft beer event with live music, retail vendors and local food. About: Everything bacon at this 8th annual festival, featuring bacon-infused cuisine from around twenty food vendors, a Bacon Bloody Mary Bar and live music. About: 98th annual Stampede features PRCA rodeo, live country music, monster trucks, a demolition derby, carnival, roller derby, fireworks and one of the largest Independence Day parades in the nation. About: 39th annual four day event with many wine tastings, lunches, lectures, and vineyard tours. About: Main Street in historic Central City hosts the 7th Stills In The Hills. It’s free to attend with live music and local food, but unlimited tastings are a fee. Pets are not welcome. About: 19th annual arts juried arts fest featuring fine arts, contemporary crafts, music, local food and free admission. About: Founded in 1916 by Spencer Penrose, the Pikes Peak Hill Climb is the second oldest auto race America. Now in its 97 year, cars and motorcycles race up Pike Peak Highway in what’s known as the “Race to the Clouds”. About: 4th annual festival featuring the best breweries, cideries, distilleries and wineries from across the West. Live music and local food adds to the celebration. About: 62nd season showcasing Shakespeare’s wonderful plays. It’s held on varying days throughout the week on the CU campus. About: Twenty-one years and counting for this favorite summer outdoor concert series. Shows takes place regularly on Sundays, some Saturdays and July 4th. About: On its 43rd season, the Renaissance Festival is held over 8 weekends in June, July, August with medieval events for all ages. It’s held 10am until 6:30pm each day, rain or shine. Parking is free, no pets. About: Centered around a CPRA Rodeo, events include a parade down Main Street, horseshoe tournament and various games, merchants and food vendors. About: 116th Annual Cowboys’ Roundup Days is a truly western celebration of Independence Day. Concerts, a parade, rodeo, fireworks, pancake breakfast, and other activities highlight this six day extravaganza. About: Oldest annual rodeo in Colorado back for the 134th year. Celebrate Meeker’s western heritage during the family fun Range Call. About: 73rd annual Paonia Cherry Days Festival showcases Paonia’s delicious cherries. This four day, five night fest includes local business booths, music concerts, 5K run, talent show, skill contests, pancake breakfast, downtown parade and live performances. About: One of Colorado’s top free art festivals held over fourth of July weekend, now in its 36th year. About: 29th cultural celebration of visual, culinary and performing arts. About: Weeklong festival showcasing three days of western rodeo competitions, live music and vendors. Event claims to be the “Granddaddy of Colorado Rodeos”, since 1900. About: Week of wildflower festivities including over 80 hikes, alpine yoga classes, 4×4 tours, garden tours, photography, art & cooking classes, medicinal classes using botanical ingredients, planting wildflowers at home, birding and butterflies. About: Since 2009, Battlemoor has recreated historic battles and medieval times around Colorado. 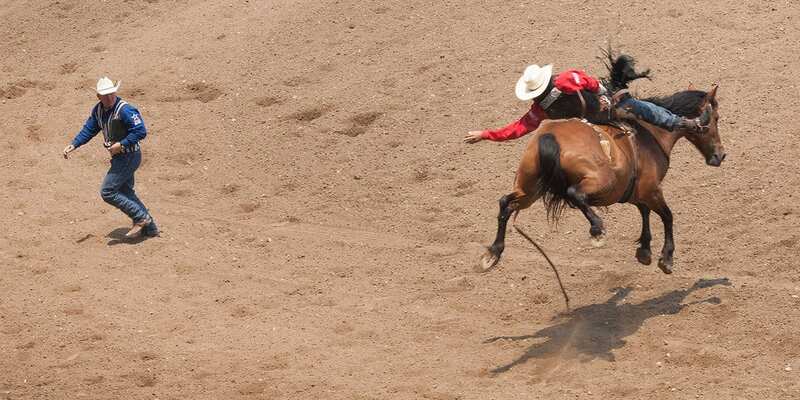 About: Four day long summer rodeo festival now on its 79th year! Come witness a range of championship rodeo events and western festivities at the base of Pikes Peak. About: Four day bluegrass festival featuring over fifteen bands. Pet friendly camping is available next the fairgrounds. It generated $53,090 for area charities in 2016. About: Since 1994, this festival has brought Irish culture, music, dancing, food, activities and entertainment together in Denver area. Pets not permitted. About: 8th annual rock and roll fest featuring killer musical acts in Town Park. About: Free weekend of art showcasing the works of more than 80 of America’s top artists in 13 distinct categories. About: 14th annual summer beer festival with over forty breweries, live music and local vendors. About: 23rd annual beer festival held on the banks of the Arkansas River, featuring more than 75 breweries, 200 beers and live music. About: Photographers love how balloons light up a colorful sky. The rodeo portion has contests including dipping the balloon into Bald Eagle Lake. About: Tastings available from over 300 international wines. Special events include wine seminars and jazz concerts. 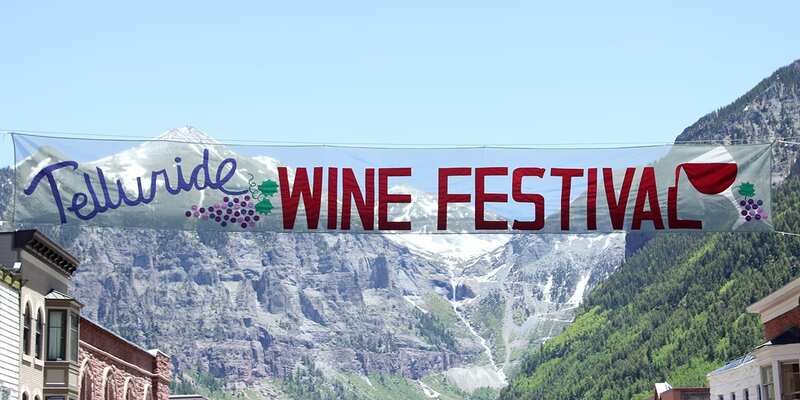 About: 16th annual single day event showcasing more than two dozen wineries and over 180 choices of Colorado wine. About: 13th annual beer festival featuring unlimited tastings from over 55 microbreweries, live music, local vendors and games. About: More than 100 artists gather for this community fine arts and crafts festival, now in its 40th year. Summerfest kicks off Arts Alive Evergreen, a ten day showcase on visual and performing arts. About: 84th annual Fiesta Days, established in 1935, features Queen Contest, Rodeo, Petting Zoo, 4D Barrel Jackpot, Team Roping Slack, BBQ/Pie Auction/Street Dance, Slack, Parade and various local vendors. About: Four day event featuring athletes in slopestyle, enduro racing, air downhill, cross country, and pond crossing events. Events held in Winter Park Village. 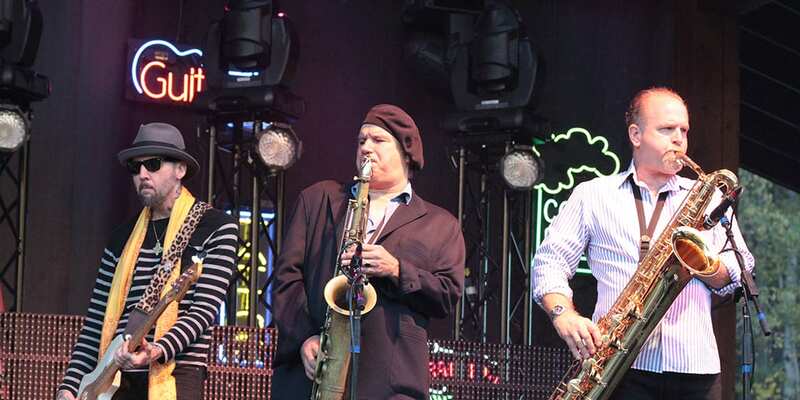 About: 18th annual, “The best jazz festival anywhere”, says the Evergreen Jazz Festival. Venues include the Elks Lodge, Lake House, Stagecoach Sports Grill and Evergreen Christian Church. About: 47th annual Rockygrass music festival featuring three days of bluegrass concerts along the banks of the St. Vrain River. Camping is available, either at the festival, at Meadow Park, a 5 minute walk, or at Olson Campground, a 10 minute walk or free shuttle. Fishing and tubing are fun river activities. About: Sample from over one hundred craft beers and forty-five breweries, with 3 event sessions in 1 day to choose from. About: 81st day of family fun in Southern Colorado featuring games, food, vendors, a stick pony rodeo and a parade. About: 11th annual beer fest and rooftop party, with 100% of proceeds benefiting 100% Safehouse Progressive Alliance for Nonviolence. About: Staple event of Adams County showcases 30 vintage flying works, 500+ show cars and more than 1000 festival goers. About: 7th annual art fest invites more than one hundred national, juried artists and craftmans to showcase their work around Cheesman Park. About: Over 100 of the country’s top artists descend on Main Street in Breck for one of America’s most celebrated art events. About: 68th season since 1951, events include archery, BBQ competition, boxing, Colorado State Fast Draw Championships, live music, livestock auction, Junkyard Jamboree Car Show, Salida circus, skateboarding. There’s also a kid’s and a ranch rodeo. Vendors will on-site selling food, gifts and games. About: 47th season, this festival attracts artists from all over the globe. Expect spectacular art, lively entertainment and delicious cuisine. There’s demonstrations from artists and chefs, plenty of activities for the kids, and an art auction. About: Features a weekend of activities, food and recreation held on the first full weekend in August. Events include burro races, Motorcycle Rodeo, historic contests of individual mining skill, a gun show, a softball tournament, street fair and live entertainment. More highlights include the Boom Days Parade and a car show. About: Three day festival celebrating the story of Ireland. Soak in the Irish ambiance with food, music and drinks. About: Spend a fun summer Saturday devouring the town’s famous sweet corn and listing to groovy live music. About: Over 30 microbreweries, mountain music and home cooking come together in River Run Village. About: 114th annual western extravaganza with a slew of activities including rodeo events. About: 103rd annual weeklong western rodeo and livestock show. About: 43rd year celebrating America’s destination jazz event, snuggled in the San Juan Mountains. About: Free three-day music fest in historic downtown Fort Collins. About: Three days invited artists to present their sculptures in Benson Park, including a silent auction and chance to take home other souvenirs. About: 10-12 mile endurance challenge around the hills of Snowmass. It’s designed with 20-25 obstacles by British Special Forces. Prices go up the later you sign up. About: Twelve day un-juried festival of arts featuring a variety of performing and visual arts including theater, dance, puppetry and cinema. About: Rejoice in all aspects of this fungus for the 39th year. Events include lectures, forays, performances, workshops, parade, movies, cooking and food. About: 51st year, enjoy four days of enjoying Palisade peaches. Last year’s festival topped more than 15,000 people from around the world. About: Attend one of two nights on an epic, one-of-a-kind blues train, roundtrip from Durango to Silverton. About: 29th year enjoying three days of concerts on the Saint Vrain River. Outside food and drinks are permitted, just no alcohol. Food and alcohol is sold on-site. Camping is popular around the festival, either at the festival grounds or under the cliffs at Meadow Park. The event kicks off with the Folks Songwriter Showcase, where a juried group of artists from around the world compete for a spot in this year’s lineup. About: 6th annual weekend of free concerts and dozens of local food and craft vendors. About: Full day of bluegrass jamming out in downtown Monument. About: 20th annual peach fest showcases world-famous Palisade peaches. Taste peach pies, cobbler and smoothies. Arts and crafts, antique dealers, artists, along with food and drink vendors. Live music, child activities and live entertainment throughout the day. About: 4th annual beer and whiskey festival held at the 4 star Antlers Hotel in downtown COS.
About: Celebrate a bounty of wild mushrooms with a mushroom dinner, guided hunt and culinary showcase, all paired to wine. About: Outdoor music, arts and microbrew festival cancelled for its 21st season. About: Widely popular eleven day event with parades, live music, rodeos, carnival, live stock, horse show, and hundreds of vendors selling everything from Indian Tacos to handcrafted jewelry. About: Beer fest next to the rugby 7s tournament action. About: 21st annual San Juan Brewfest featuring live music and over fifty breweries at Buckley Park, in downtown Durango. About: 12th annual art event held over three weekends at three different venues, showcasing various creations from Colorado artists. About: 26th annual Ride The Four Corners features live bands, poker runs, Harley Davidson Giveway, Indian Scout Giveway and festivities. About: Highlights for the 24th annual Folk Fest include food vendors, a beer garden, live folk music and kids’ entertainment. Many people camp at the event on Reservoir Hill or at a satellite spot, with campsites available for tents and RVs for a fee. About: One of the top film festivals in the U.S, now in its 46th year. About: Keystone’s 8th annual Oktoberfest with beer and brats. Activities include free face painting, a bounce house and the Edelweiss Polka Dancers. About: Free fest with five stages of live music, lots of great local food, over 200 arts & crafts booths and carnival rides. About: Ranked as one of the top 200 festivals in the U.S. by Sunshine Artists, this fine arts fest offers free admission over Labor Day weekend. About: Two days of western heritage with a rodeo, parade, fair and BBQ, held at the Ouray County 4H Events Center & Fairgrounds. About: Five days of sheepdog herding competition held annually in September, celebrating its 33rd year. About: Known as Scotfest, this four day celebration now in its 43rd year, features large bagpipe marching bands, the Estes Tattoo and the Longs Peak Concert. Highlights include live music, regional food, jousting tournaments, Highland dance, and local merchants. About: Colorado’s San Luis Valley produces some of the finest potatoes around, celebrate this starchy root vegetable. About: More than 180 international artists ascend on Castle Rock for this 30th annual fine arts fest. About: 26th year, features world class blues music and great local food. About: 10th annual festival showcasing the Valley’s top musical acts, held at the Feed Store Park and Amphitheater. About: Free to enter brew fest with featuring 23 local breweries within 75 miles of Lafayette. About: Dozens of local wineries attend Colorado’s premiere wine festival, now in its 28th season. There are interactive seminars, demos, live entertainment, fantastic food, unlimited wine samples, a commemorative tasting glass, wine tote and plenty of vino for sale. About: 39th annual festival features a variety of independent films, premieres, receptions, educational programs and retrospectives; 70+ films, parties and forums. What: 33rd anniversary of high flying fun, held annually since 1986. The Passport to Pagosa Food & Wine Fest kicks off the festivities on Friday night with international wine and food pairings. About: Annual three day pepper party held the third weekend after Labor Day. Farmers sell more than 50,000 pounds of peppers, including the Mirasol, a native to Pueblo region. 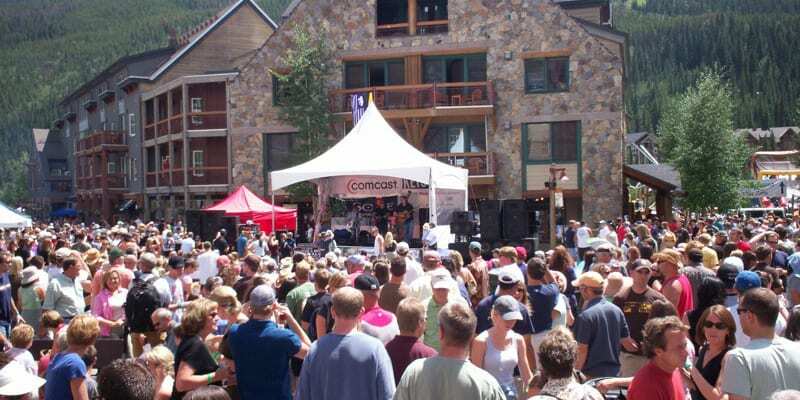 About: Music and wine festival in one of Colorado’s most picturesque and remote towns. About: Sponsored by the Loveland Archaeological Society, the fair features displays of prehistoric artifacts, skills demonstrations and lectures by archaeologists. Need help deciding? Here are thirteen favorite summer festivals.